Unfortunately, wine fraud and investment scams have been around for years. Becoming prevalent in the late 90s as the industry grew more popular these scams usually involve con artists selling cheap wine as “fine wine”. Promising that these bottles’ value will increase over time, in reality, this wine may be worthless, and in some cases it won’t even exist. Countless individuals fall victim to wine investment scams every day but here are some tips on warning flags to look out for and how to avoid the scans all together. There are a number of different ways scammers can get hold of your money by selling not-so-fine wines, and you need to be wary of all of them. The average amount of money lost on wine scams is just under £6,000, but some investors have been known to lose up to £300,000. In most cases, con artists will promise the world, but the wine they’re selling will either be worthless, not in your account, or nonexistent. 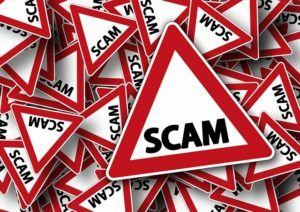 It may sound obvious that if somebody cold calls out of the blue with and offers you a mountain of money that it will be a scam. But time and time again individuals fall victim to these “too good to be true” offers each day, losing vast sums of money in the process. If anyone calls you with a wine investment offer, it is best to err on the side of caution and ignore them. In some cases, you could end up investing large sums of money in a selection of fine wines, with the promise that they will appreciate over the next few years. But after departing with your hard-earned cash, you could then find it impossible to contact the business you purchased your wine from, as the con artist has disappeared with your money and given you nothing in return. Even if you buy wine that does exist, does belong to you, and is stored in your personal account, there’s still a chance you could be the victim of a scam. How? Rather than being valuable, the wine you purchased was actually worthless. Unfortunately, you will only realize you’ve been scammed when you’re looking to sell your wine, and you find out that it’s worth even less than it was when you bought it. Some fraudsters will charge clients between 30-50% too much for their wines, meaning there is no hope of ever turning a profit. Examine their company website. Search for the company online. A slick and professional website could still be a front for a fraudulent company, so look for accreditations, client testimonials, a physical address and contact details. It bodes well if the business appears to have genuine employees and certifications from industry bodies. Search for the business on Companies House. The UK government’s Companies House register will allow you to check if the business has been registered, and to find out details about how long it has been operating and who the directors are.